Ramblings and photos of my various wargaming exploits. I've got loads going on at the moment. 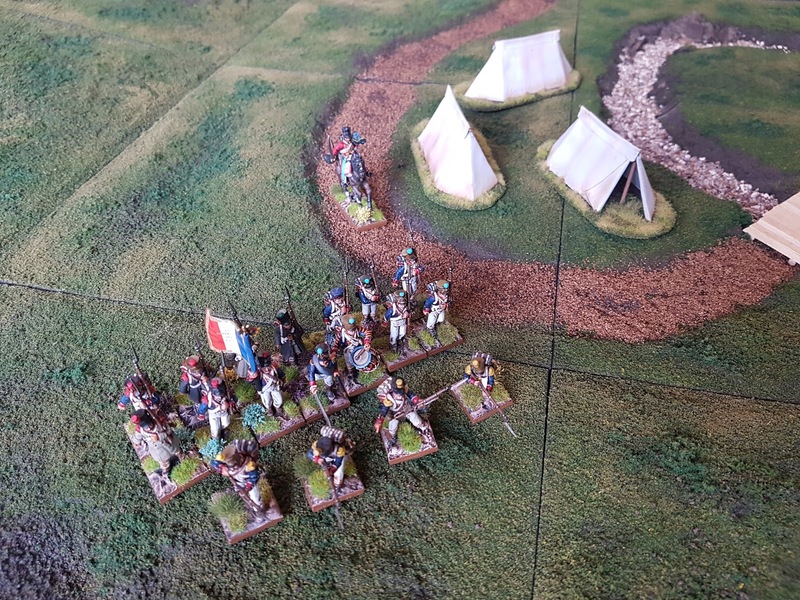 6mm and 28mm Napoleonics, special model for the upcoming Four Foot Snake Kings of War Tournament and of course the Terra-Formers boards I'm making. The latter is what I'll concentrate on with this update. All nine boards are now at the same stage, or they were when I took photos this morning. 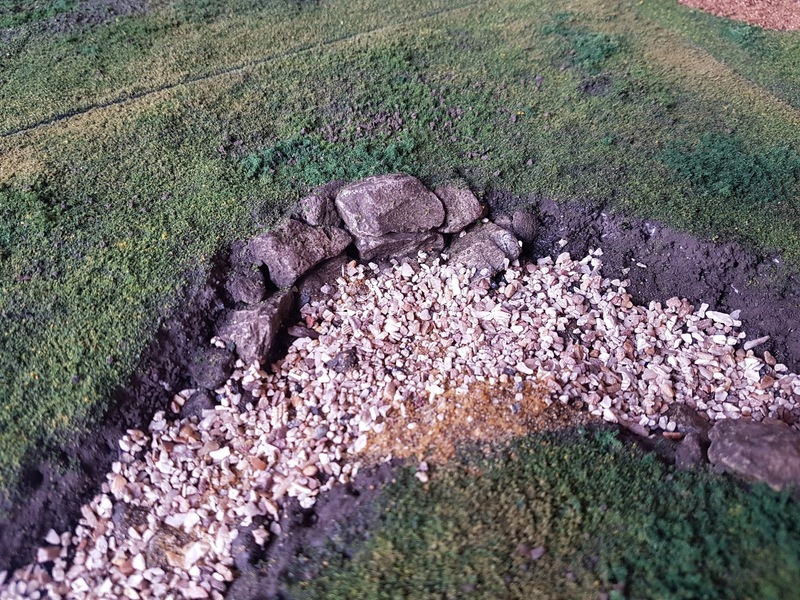 Basically all the scatter is now in place and dried. This has taken a lot longer than I hoped for basically because it's been January for most of the time I've been doing it. Drying times for PVA are so much, much longer during the winter. Thank goodness it's starting to warm up a bit now we're into February. 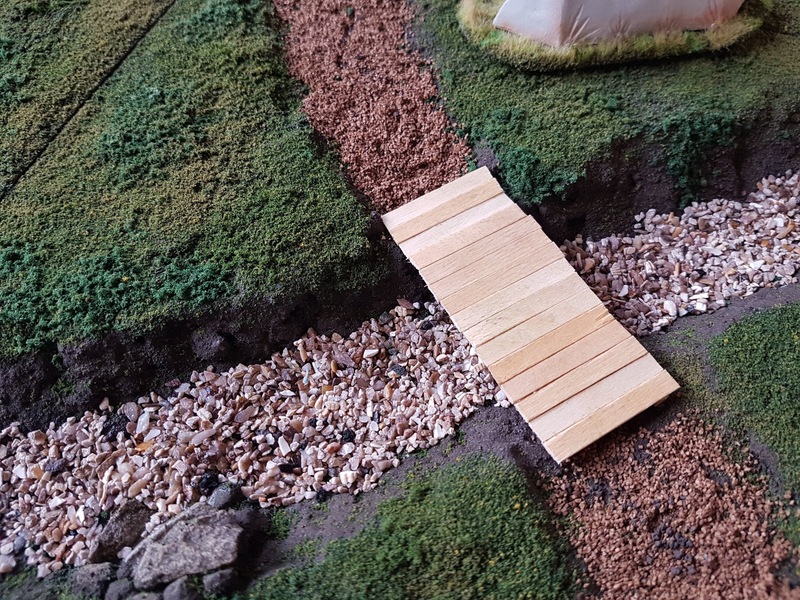 The bridge was not glued in place when I took this photo, it now is and I've removed some of the middle planks to help with when I'll pour the resin for the water later in the week. 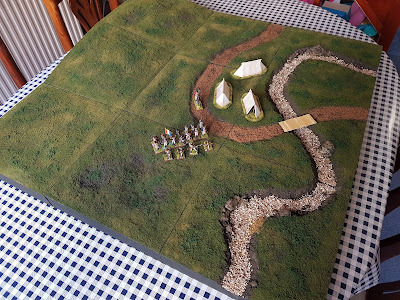 The tents have been based in a similar manner to the rest of the boards. I've also tried out some static grass on them. I'll be using a similar effect on the boards, though not all over, just in some specific locations. Since the photos above the river has had it's brown wash and the bridge is glued in place. 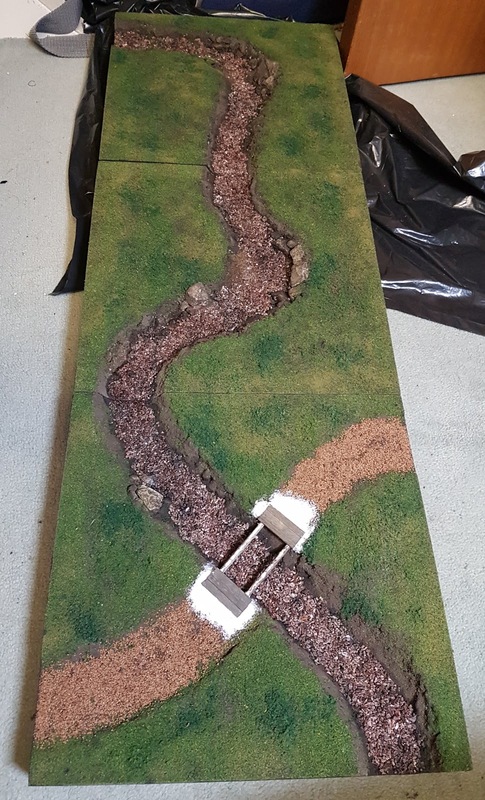 I've used putty to blend it in with the road. I'll have to reapply scatter to that later. Something completely different... Angry Hippo!